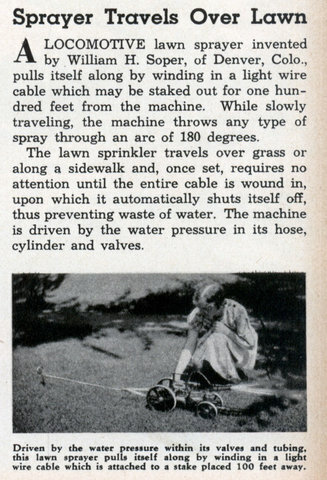 A LOCOMOTIVE lawn sprayer invented by William H. Soper, of Denver, Colo., pulls itself along by winding in a light wire cable which may be staked out for one hundred feet from the machine. While slowly traveling, the machine throws any type of spray through an arc of 180 degrees. 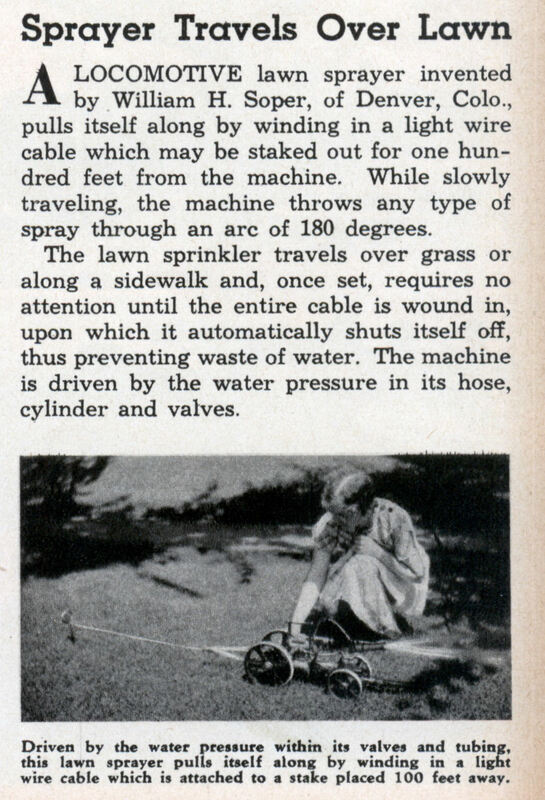 The lawn sprinkler travels over grass or along a sidewalk and, once set, requires no attention until the entire cable is wound in, upon which it automatically shuts itself off, thus preventing waste of water. The machine is driven by the water pressure in its hose, cylinder and valves. 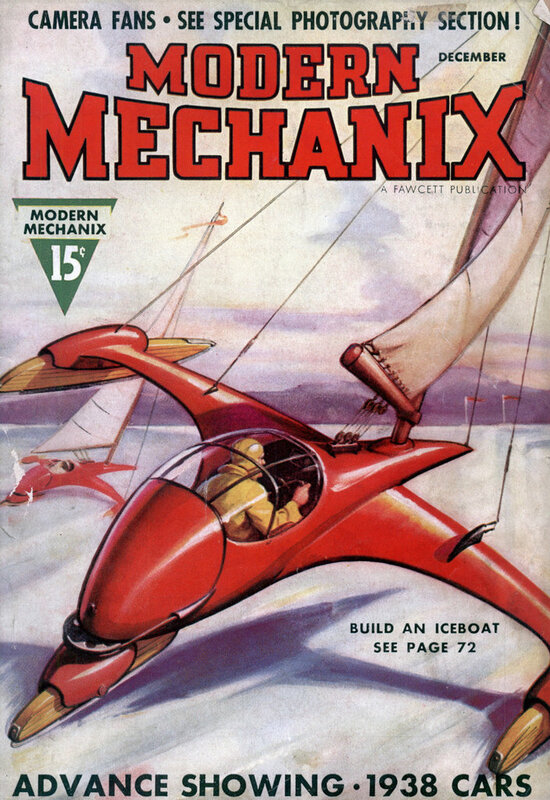 These are still being made, in various forms. The cutesy ones are painted to look like John Deere tractors.